Its currently overlapping with my chat. 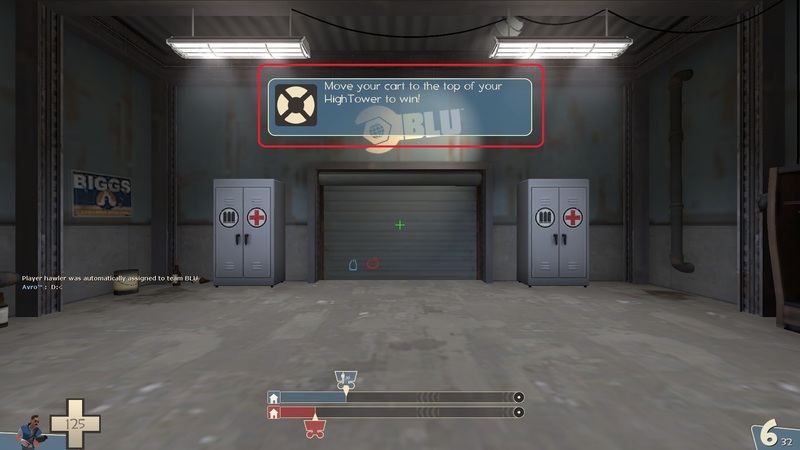 Not really sure, but you can try to edit Hud_Obj_Sentrygun, dispenser, tele etc..
Is there anyway to move it? Ok, That was also my guess. Thanks! Could someone inform me on how fonts out of clientscheme.res are selected by the engine. My HUD is a bit of a mashup, so I have a lot of different font entries and recently I have been experiencing issues of certain fonts not showing up. I have remedied this by moving the certain font instance higher up in the ordering. If I can't control the selection is there a way besides going through each .res file to determine which instances are loading and which aren't in an attempt to weed out some unused instances. I've never heard of a problem like that, how many different custom fonts do you have defined at the bottom of your clientscheme? _KermitI've never heard of a problem like that, how many different custom fonts do you have defined at the bottom of your clientscheme? 45, There are about 7 I am certain I am not using, and have already disabled them. Using most somewhere. Each has like a dozen iterations which I don't think I am using all of which. snuffleupagusanyone know how to edit the backgrounds on the kill and death so they are gone? Scoreboard.res. It should be "killsbackground", "killsBG" or something like that. It'd help if you posted your scoreboard.res. [quote=snuffleupagus]anyone know how to edit the backgrounds on the kill and death so they are gone? Hey guys, I need some help with this Screenshot . Hey guys, I need some help with this [url=http://i.imgur.com/WqHMFkR.jpg]Screenshot[/url] . How do I make the off-center timer background thing at the top go away? "fillcolor" "220 220 220 180"
"bgcolor_override" "0 0 0 140"
// icon placement, and then pin the icon to it. How do I get rid of this panel? hawlerHow do I get rid of this panel? Alchemist hawlerHow do I get rid of this panel? Thank you, it was the "hudteamgoal.res" file located in "tf/resource/ui", extracted it with GCFScape and modified every element to make it invisible. AlchemistHey guys, I need some help with this Screenshot . [quote=Alchemist]Hey guys, I need some help with this [url=http://i.imgur.com/WqHMFkR.jpg]Screenshot[/url] . Any chance someone could tell me what I've missed when copying target IDs from PVhud into the one I'm currently using. _KermitAny chance someone could tell me what I've missed when copying target IDs from PVhud into the one I'm currently using. SpectatorGUIHealth.res, and then font for targetid hp. [quote=_Kermit]Any chance someone could tell me what I've missed when copying target IDs from PVhud into the one I'm currently using. [/quote] SpectatorGUIHealth.res, and then font for targetid hp. First you'll want to add this to scripts/hudlayout.res - what that does is put 2 brackets next to your crosshair. Then, add this to scripts/hudanimations_tf.txt - this will make your hitmarkers appear on screen when you hit someone. If you want to change it to match ScottJAw, you can turn them into yellow parentheses by changing labeltext from [ and ] to ( and ) - and then changing fgcolor to "255 255 0 255" instead of TanLight. If someone could help me out with flashing text using hudanimations_tf.txt, it'd be much appreciated. I've read the instructions, but nothing's clicking. 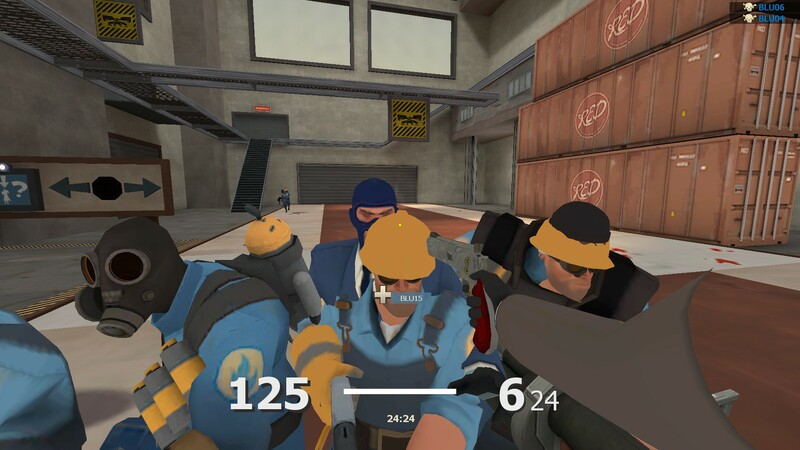 First you'll want to [url=https://github.com/SnowshoeIceboot/TF2HudPlus/blob/master/scripts/hudlayout.res#L5-L37]add this to scripts/hudlayout.res[/url] - what that does is put 2 brackets next to your crosshair. 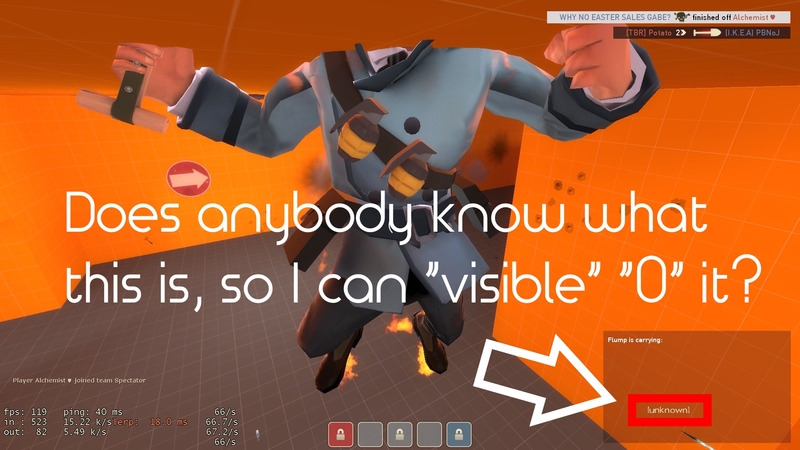 Then, [url=https://github.com/SnowshoeIceboot/TF2HudPlus/blob/master/scripts/hudanimations_tf.txt#L734-L741]add this to scripts/hudanimations_tf.txt[/url] - this will make your hitmarkers appear on screen when you hit someone.